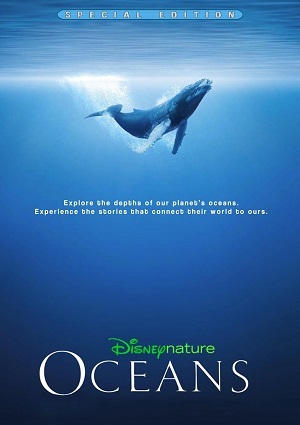 Oceans is a nature documentary that explores all the oceans of the world in 100 minutes. There were two different version of the documentary, in one there were scenes from a massacre of sea animals made by computer but were deleted because producers dint like the idea of showing this kind of scenes to the US and Canada public, while the European version did have those scenes. The film takes us to different parts of the world so we can understand better just how important the ocean is, not only for humanity but for all the life in this planet.